"Accelerator is the best real-world business experience your student will have as an undergrad. 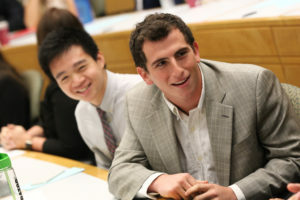 My son has learned a lot in college, but he learned more about what it is actually like in the world of business in this one month than he did in two years of college classes and internships." 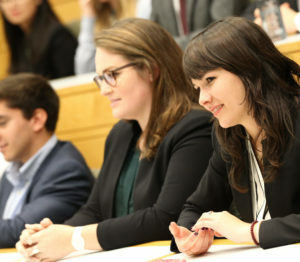 "Accelerator offers high-caliber exposure to business through real-life case studies for liberal arts majors and effectively simulates the type of environment a young professional will experience post-graduation." The number of projects students work on for real companies during their four weeks in the Accelerator program. Accelerator is designed to help undergraduates and recent graduates learn business fundamentals, gain real-world experience and develop professionally. This fast-paced program is like five internships in four weeks. Hear what students say about their experiences in this video.